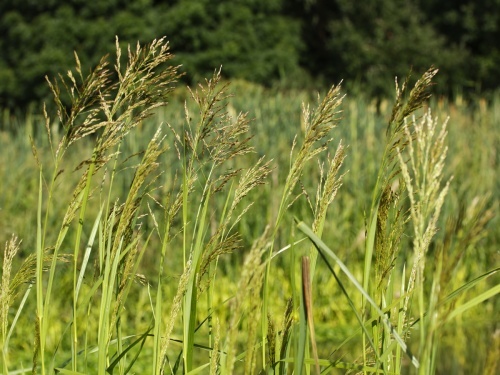 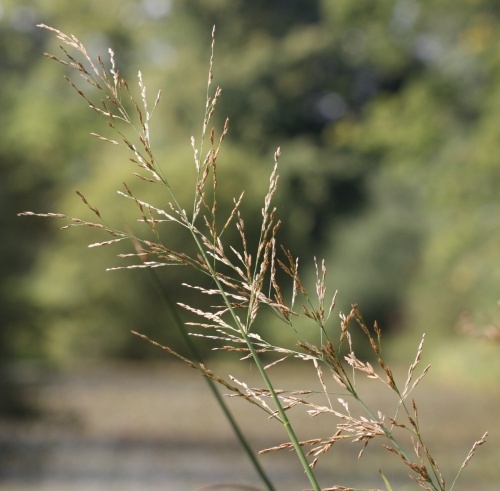 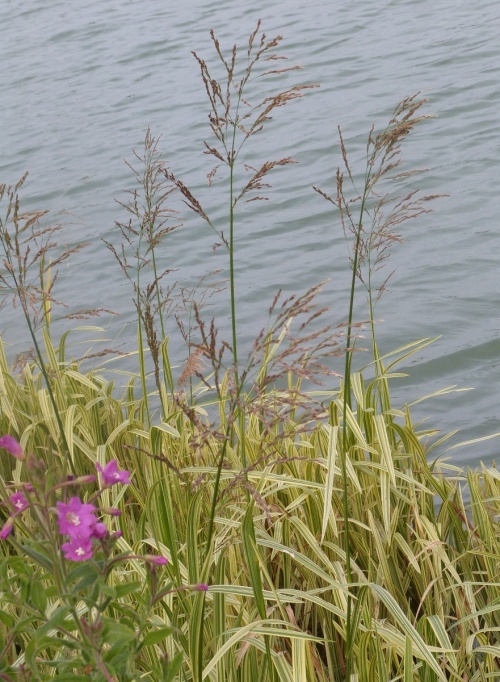 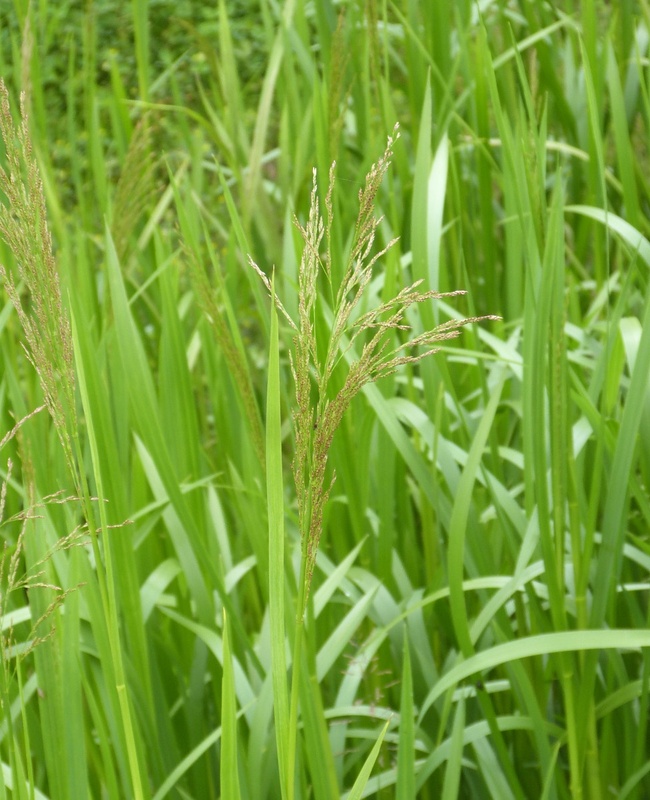 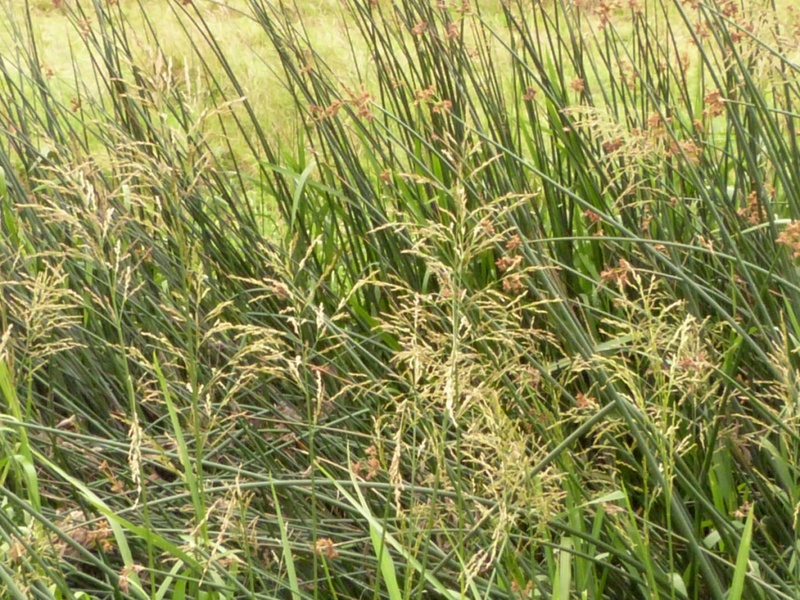 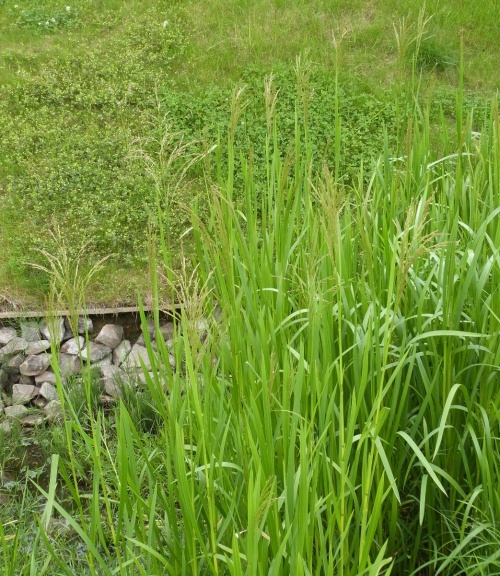 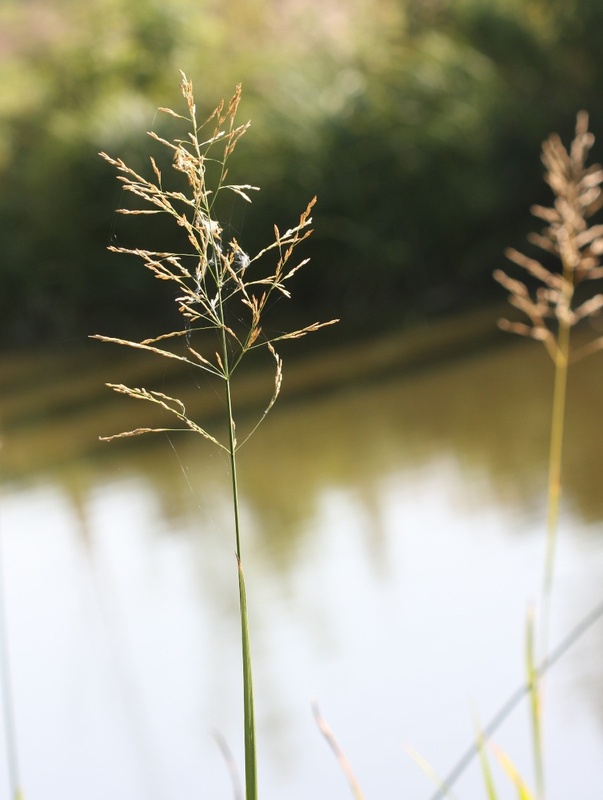 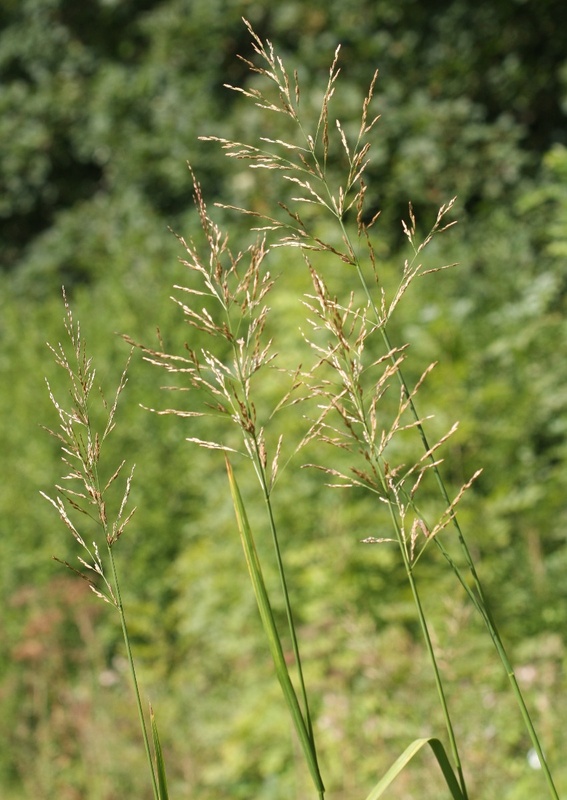 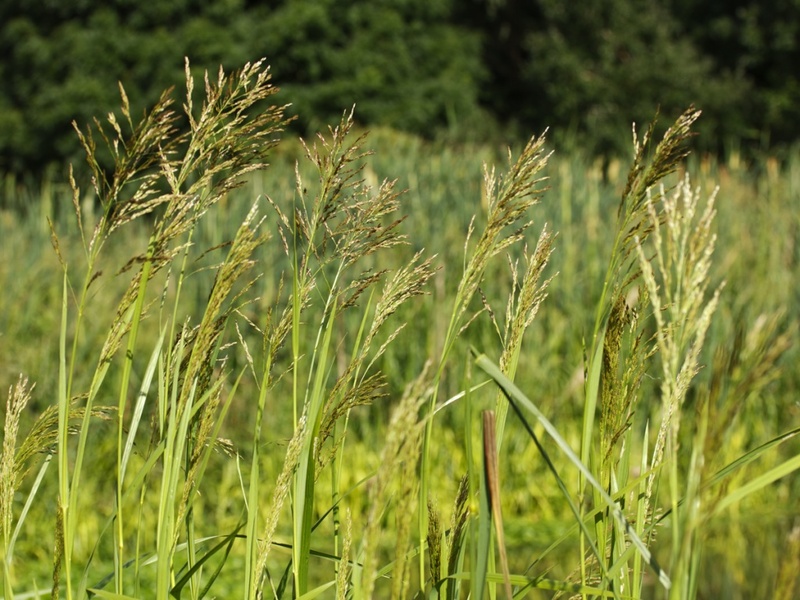 Tall (60 to 200 cm) very erect grass forming dense stands. 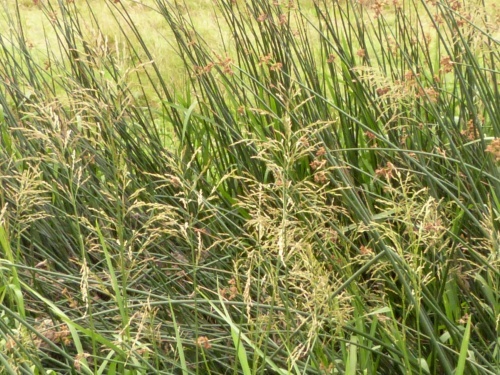 Leaves flat and more or less folded to 2 cm wide. Inflorescences are erect, dense, much branched spreading panicles 15 to 30 cm long. 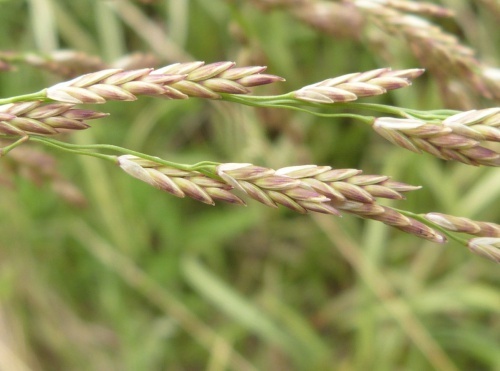 Spikelets are 5 to 8 mm, narrow oval (not cylindrical). 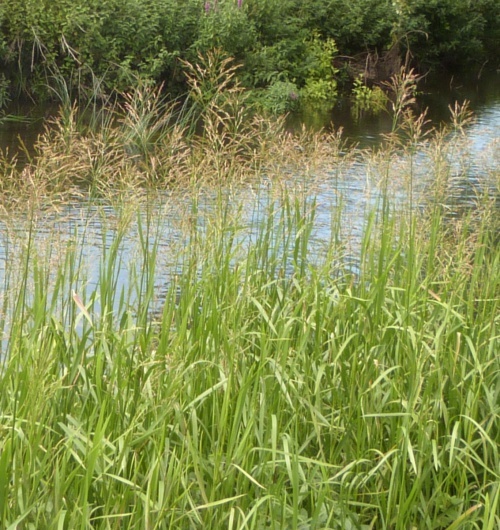 By rivers streams and wet ditches. 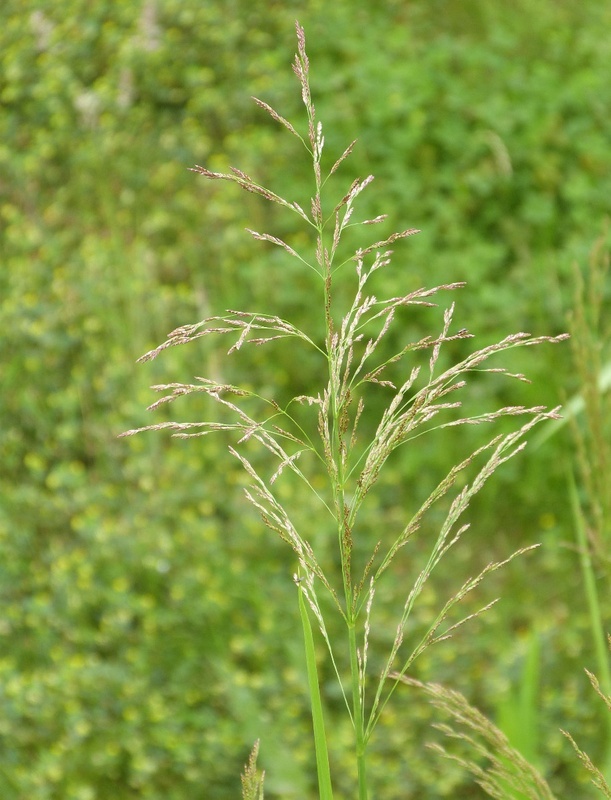 Fairly frequent in England quite localised elsewhere in Britain. Fairly frequent in Leicestershire and Rutland. In the 1979 Flora survey of Leicestershire it was found in 212 of the 617 tetrads.